Schoolgirls Charlotte Axtell, Sophie Moir and Aliyah Idris from the Children’s Health Academy of Specialised Sports Gymnastics Club, better known as CHAOSS, will be tumbling, twirling and vaulting into action alongside 22 of the region’s top performers in a bid to create an all-star team of acrobatic athletes. The bouncing belles were overjoyed to make it onto the Middle East Gymnastics Association (MEGA) team roster after recently passing the first selection process in Dubai with flying colours. Chaoss coach Debbie Payne and club founder Cara Mattias, a former gymnast and certified coach who trained with the 1983 British Olympic squad, are also delighted and have already started preparing the girls for their final trial, the MEGA Elite Invitational taking place in Dubai, to officially secure their spots on the squad. 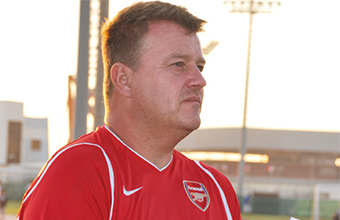 Coach Payne said: “The three successfully made it through the first trials in Dubai with further trials being held in May. “It was down to their hard work and determination plus some natural ability that got them to where they are now. “Cara and I, including coaches Mahmood Maburak, Sara Axtell and Jorge Tablante, are incredibly proud of the girls and would like to congratulate them for being chosen to represent CHAOSS and the Gulf. MEGA, formed in 2014, consists of representatives from various clubs in Oman, UAE, Qatar, Jordan and Bahrain. The aim of the association is to develop and improve the standards of the sport in the region and its members and coaching staff. It will also provide a variety of competitions for all members to participate in. A leading team of gymnasts is being selected from the clubs involved to take part in global competitions, specifically one being held in Malta in July. Coach Mattias said: “This is the first time the Gulf has united to form such a team to compete outside of the region. The standard of gymnastics required is exceptionally high and this is going to be a tough competition for all the girls involved. Charlotte, aka Charlie, 11, from Saar, a student at St Christopher’s Senior School, is no stranger to competition as she has already taken part in four tournaments in Dubai, one in Doha and another in Bahrain. The youngster, who has been involved in the sport since she was a toddler, has won six gold medals, three silver and four bronze in various competitions. 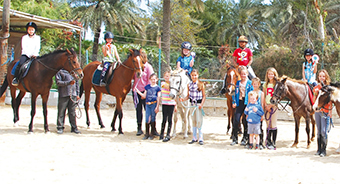 Sophie, also a pupil at St Christopher’s, who lives with her family in Durrat Al Bahrain, took up the sport when she was five. She has participated in four tournaments and one trial competition, winning six medals overall. 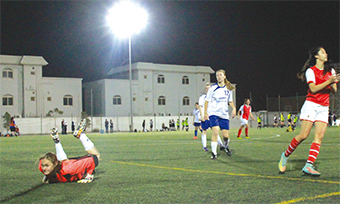 She has been training between three and five days a week and is looking forward to representing Bahrain, as well as the Middle East. Aliyah, 10, a student at lycée Francais, from Hamala. will not be joining the girls in their training for the time being as she is recovering from a slight foot injury. Aliyah’s reputation precedes her as she has competed in four contests in Doha and Dubai and has won gold medals in bar, floor and vault. The girls’ parents are thrilled to see the youngsters’ hard work pay off. Idris’s mother Theodora believes that if the girls enjoy the sport and have fun, then success will come. Sara Axtell, a part-time officer administrator and assistant gymnastics coach, said: “Gymnastics is an extremely demanding sport requiring great strength, flexibility, balance, co-ordination and courage, so we are very proud of what Charlie has achieved and are delighted that her love of gymnastics is as strong as ever. However, it does mean she is going to have to push herself right to the edge of her ability and beyond. We have a long road ahead of immensely hard work. Sophie’s mum, Karen, an ice-skating coach, said: “I just want them to do their best and have fun. I am so proud of Sophie. I think she is a very hard working and talented little girl and it’s great that it has finally paid off. Details of the competition have yet to be finalised but it is likely to involve clubs from Europe travelling to compete against the region’s elite. Further details on the competition and the names in the final teams will be announced in May after the next squad meet. CHAOSS also has three other competitions in the pipeline including an in-house competition on March 20 open to all gymnasts and on March 27 they hope to take a team to Qatar to compete against others in the region. On June 5 and 6 the squad will take part in the 9th Annual Inter-Gulf Championships in Dubai.